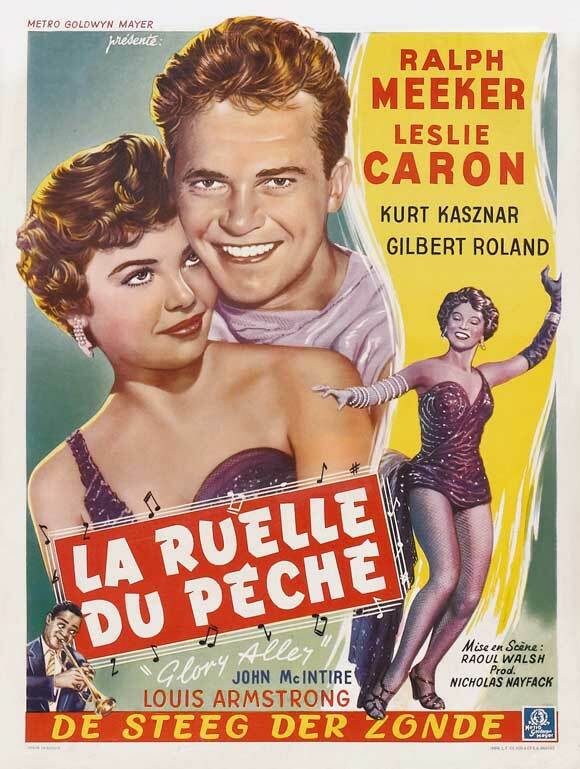 Despite an international career in films on both sides of the Atlantic which started in the early 1950s, Leslie Caron is still regarded as one of the best screen actresses of the delightful MGM musicals of the 1950s. No wonder, considering she made a stunning film debut opposite Gene Kelly as Lise Bourvier in “An American in Paris” (1951), introduced the song ‘Hi Lili, Hi Lo’ in the enchanting “Lili” (1953), played Fred Astaire’s dynamic counterpart in “Daddy Long Legs” (1956, made on loan to Fox) and portrayed a French girl who’s groomed to be a courtesan in the delightful turn-of-the-century musical “Gigi” (1958) – although this is just the tip of the iceberg, really. Miss Caron, a charming, charismatic, bright and intelligent actress, had been living in Paris for several decades when I met her for this interview in 1999 in her spacious and nicely designed apartment, after she had just returned from Japan where she had attended a film festival. At that time, she was less frequently in the international spotlights compared to the 1950s or the 1960s, but at age 68 then, she was still as energetic as ever, travelling the world, attending film festivals. And now, in her early 80s, she still seems to be doing great! Born Leslie Claire Margaret Caron on July 1, 1931 in Boulogne-Billancourt (near Paris, France), she was the daughter of Claude Caron, a French chemist, and Margaret Petit, born in Topeka, Kansas, who trained in ballet in Seattle and initially had success in New York, but after her marriage she settled in France to raise her two children. Although everybody is familiar with Miss Caron as a leading actress, she was originally a ballet dancer at Roland Petit’s Ballet des Champs Elysées. You were discovered by Gene Kelly, weren’t you? Yes. He attended the première of a ballet called ‘La Rencontre’ about ‘Oedipus and the Sphinx’, I played the Sphinx, the great Jean Babilee was Oedipus. It was an outstanding event at the Théâtre des Champs Elysées. About a year later he needed a co-star for “An American in Paris”; he remembered me and came back to Paris for auditions. I was a ballet dancer; I had studied since the age of 8 and spent two years at the Conservatoire of Ballet. I was exclusively a classical ballet dancer and had no ambition to become a film actress, it didn’t really interest me. So it all happened by accident. When you arrived in Hollywood at age 18, were you ready to step into this glamorous world of the American film industry? I flew in with my mother and the first evening we were there, my agent invited us to have dinner at ‘La Rue’, a fashionable restaurant. Well, I wasn’t even able to finish my meal, they gave me a steak twice as large as the whole plate. My first impression was that it was all too much: too much to eat, too many smiles, they were too generous for a young girl coming from a country still recovering from the war. When leaving the restaurant, Gregory Peck was waiting outside for his car. I felt like a little girl standing before Santa Claus (laughs). Since I was a minor, my mother had accompanied me to Los Angeles and stayed there for the first three months; in the beginning, my salary was very low. I had a seven year contract and earned the same as a secretary: $ 125 a week in the beginning, the second year it was raised to $ 145, then $ 165. Each year it was raised a little. It was nothing compared to the salaries stars earn today. We were booked by my agent at a very luxurious hotel, the Beverly Wilshire, and the first day, we had nearly spent my first week’s salary. My mother said it was impossible to go on like this; the next morning at 6:00 AM she moved us to another hotel, close to the studio, in a very cheap neighborhood. It was the Culver Hotel, not a respectable hotel (laughs). A few days later my mother called Gene Kelly who exploded on the phone, saying, ‘Where are you?! We were terribly worried, we didn’t know where you were! Where are you now?’ ‘At the Culver Hotel.’ ‘WHAT? If the press finds out, it will be a scandal!’ My mother just did what seemed to be very logical: to live according to our budget. So you made “An American in Paris” which became a legendary musical, and later you were the star in “Gigi” , another Hollywood classic. Is it correct to say that “West Side Story”, released only three years after “Gigi”, marked the end of the old Hollywood musicals and introduced an entirely new approach? 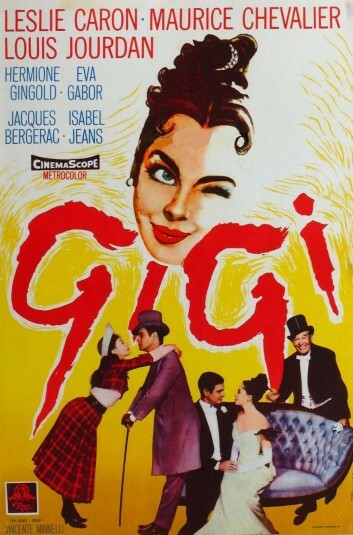 The average musical comedy never had the ambition to be intellectual or literary, whereas “Gigi” was clearly on a higher level, it was a new concept of musical comedy. When I arrived in Hollywood in 1950, the musical comedy was considered to be a genre without any kind of noblesse. The story was just a pretext for the numbers in the film. 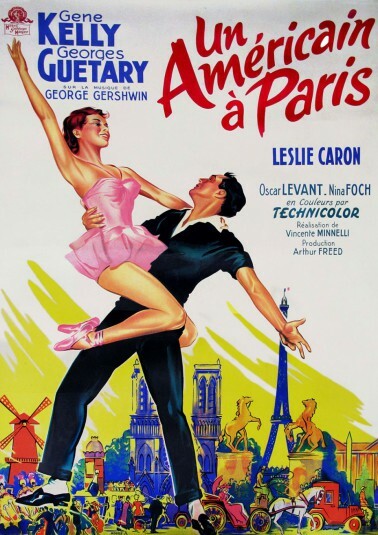 Already “An American in Paris” had a more ambitious text. “West Side Story” changed this concept drastically as it was in fact a modern version of ‘Romeo and Juliette’ with a social message, something “Gigi” also brought. And from then on, you gradually expanded your own repertoire as well with dramatic parts, proving you didn’t need dancing shoes to keep moviegoers fascinated? The musicals kept on repeating themselves. The public got tired of it, and when all of a sudden dramatic films like “On the Waterfront”  were released; they immediately appealed to the public. I believe that musical comedies ceased to exist for economic reasons, and more precisely when “Cleopatra”  got made. That was the first film for which an actor got paid a million dollars. When the other actors heard that Liz Taylor earned a million dollars for “Cleopatra”, they all wanted to get out of their contract. It meant the end of the studio system; don’t forget that the studios were only able to make those musicals at a time when everybody was under contract and got little money. The members of the orchestra were under contract, as were composers, lyricists, screenwriters,… A studio was in fact a factory with a structure to make those musicals. When those performers asked to be released from their contract, musicals became prohibitive. That, along with the audience losing interest, caused the decline of the genre. What about your contract? When did it end? That was in 1958, the studio and I settled for one more film after “Gigi”. Yes, I felt liberated since I didn’t like the restrictions imposed by the studios. Again, you could compare a studio to a factory, they told you what films to make. I was too independent to accept such control easily. I turned down three films, even though I wasn’t allowed to do it: “Give a Girl a Break”  with Gower Champion, “Les Girls”  directed by George Cukor and a film with Clark Gable of which I can’t remember the title. I felt I couldn’t help those films. As for “Les Girls”, I didn’t feel I could play a coquette. Then you began playing powerful dramatic parts, including “Doctor’s Dilemma” from a play by George Bernard Shaw, Joshua Logan’s “Fanny” , and “The L-Shaped Room” , a tender study of loneliness and frustrated love, which earned you a second Academy Award nomination, as well as a second British Film Academy Award and the New York Film Critics Award. Very impressive. Acting interested me passionately. I had taken acting lessons with George Shdanoff, a marvellous professor who had been a student at the Stanislavski school in Moscow, he was a remarkable man. Actress Betsy Blair, at the time married to Gene Kelly, was one of his students; after “An American in Paris” she knew I wanted to play dramatic roles as well as comedy, she recommended this professor. I worked with him for four years, three or four times a week. And he taught me all that I knew and know. After a few months working with him, I felt more professional, I knew how to prepare for a part or for a scene. The first result was “Lili” , for that film we worked a lot together. You worked with so many talented and powerful film directors, both European and American. Do you like to be directed when you appear on the set? Nanni Loy is one of the few directors who really directed me, the other one is Louis Malle. I like being directed: if the director is good, it’s wonderful. I enjoyed very much working with Louis Malle, he was so subtle and sensitive. I need to be directed because I never know what is too much, too little, too fast, too slow. It’s very difficult to direct yourself, I could never do that, so I welcome a director who knows what he wants. Which other directors did you enjoy working with? I loved working with Vincente Minnelli, he was elegant, graceful and charming. His very presence was enough to make you want to give your best. He did not give you elaborate directions, but his very presence inspired you to act the way he wanted and in any case he would go on filming until he thought it was good. What about veteran Raoul Walsh, who directed you in “Glory Alley” ? Raoul Walsh didn’t direct all that much, he just told you, ‘Faster!’ That’s all he said (laughs). I understand he was very good in action films, but I can’t say that I had an unforgettable souvenir of being directed by him. He very often wasn’t even there, he was in the coffee shop in the back of the stage, listening only. Peter Chelsom, who directed the remarkable “Funny Bones” , was an actor and he really knows how to direct actors. 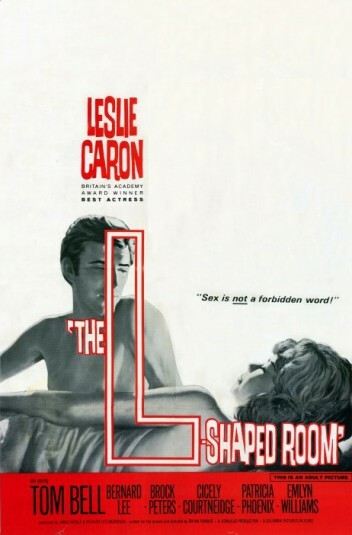 Bryan Forbes who directed “The L-Shaped Room” also used to be an actor, so he’s very knowledgeable about acting. But usually it is best to know your job and to be prepared. Usually the director is very happy to use whatever you have prepared. With your background and experience, what is your opinion about the young actors that dominate the screen today? I think actors today are very accomplished, more so than when I arrived in Hollywood. When I started, serious acting was regarded with suspicion, the profession was very wary of stage actors, they thought these actors were arty, they were not for the movies. The public has also become more adult and knowledgeable, they accept to see the top stars like Robert De Niro playing a bum or a killer and it’s still Robert De Niro. The same can be said of Anthony Hopkins. He doesn’t lose his stature, but Cary Grant or Gary Cooper could not have played murderers. So the public has changed for the better and so have the stars. In the beginning, movies were made for the masses, the working class only. It was considered a very minor form of entertainment. Intellectuals and educated people did not go to the movies – I’m talking about the beginning of the century. Even if you read the mémoires of Jean-Paul Sartre and Simone de Beauvoir, they tell you how cinema was frowned upon by intellectuals until, slowly, everything evolved and then, in France at least, cinema was a tool for the intellectuals to express themselves, their ideas and their politics. It finally happened in America too and the films of Elia Kazan always had a social background and raison d’être, not just entertainment. Little by little the public learned and became more mature. Did you ever consider of putting your ideas in a film as a director? Yes, I thought for a while of directing a film. I wrote about three scripts which were never done, but there’s a limit as to how much you can evolve (laughs). Ten years ago I was ready to direct, but it didn’t happen and it’s just as well. I think basically you do one thing well. A lot of actors are very frustrated because as an actor you always receive orders, you’re always directed like a child at school, all the technicians tell you, ‘A bit forward, a bit backward, you didn’t reach your mark, you didn’t hit your light, we didn’t hear you’, and the director says, ‘Now do this, do that.’ Actors very often get frustrated and would like to show that they can create as well. So it happens that actors direct a film. Marlon Brando did one film, Paul Newman did a few, Robert De Niro did one, Charles Laughton did “Night of the Hunter” , a magnificent film, I could go on and on. A lot of actors did one film and then I suppose they realized that their real and rare skill was acting. Being able to portray in front of the camera is so hard, difficult and rare, so if you have the face, the soul and technique to express yourself, you should stick to it. Although, perhaps you have to get your frustration out of your system! (Laughs). What does it take to be a good actor or actress, besides talent? Flexibility? Certainly. You have to be somebody who can feel things, to begin with. You have to be somebody who can emote. There are all sorts of actors. Some actors act bravely, other actors act small but real, there are great comedians, great tragedians, every kind. So you can’t generalise. But it does take a terrific concentration. To me, the best actors in the last twenty years are Robert De Niro, Anthony Hopkins, Jeanne Moreau and Meryl Streep, because of an incredibly tight nervous system. They get so totally immersed in the parts they play, that they become somebody else. You don’t work on présence. Présence is a matter of doing a 100 % what you’re doing. If you don’t have présence, if you don’t interest the camera, if the camera does not pick up your emotions, your thoughts, then it’s hopeless, there’s nothing to be done. You can’t work on présence: either the camera goes inside you, or it doesn’t. Your thoughts must be so strong that they just burst forth, like a bullet. When Meryl Streep plays a scene, she is thinking and that’s what it takes. Concentration, thoughts and total immersion in the part or in the scene. There are plenty of young people who have that. They all learn acting now, as against in the old days when it was thought it was better not to learn acting. Now actors come usually from the stage or from a school. Some of the best actors I found, were in Poland, where I worked with Zanussi. You have walk-ons who could play Hamlet. They were fabulous. Why? Because they’ve gone through acting school, they could act on the stage, they knew the fundamentals of acting, it’s a profession that you learn. But as far as charisma and beauty, you can’t teach that. Charisma cannot be taught. You have a hugely impressive career as a multi-talented actress. Despite all your success, do you maybe have any regrets career wise? Well, for a long time I just wasn’t ready to play adult parts. I had limitations, I looked like an adolescent. Also I was too famous as an adolescent. It’s very difficult to step in another category. In fact I think that I did not really play women in the ages of twenty or thirty, except for a few. I mostly jumped from playing adolescents to playing women in their forties, fifties. Have you ever considered of writing your mémoires? LA DIAGONALE DU FOU, a.k.a DANGEROUS MOVES (1984) DIR – SCR Richard Dembo PROD Arthur Cohn CAM Raoul Coutard ED Agnes Guillemot MUS Gabriel Yared CAST Michel Piccoli (Liebskind), Liv Ullmann (Marina), Leslie Caron (Henia), Alexandre Arbatt (Fromm), Daniel Olbrychski (Tac-Tac), Michel Aumont (Kerrossian). Posted in Actress, Film Talk and tagged An American in Paris, Anthony Hopkins, Betsy Blair, Bryan Forbes, Cary Grant, Charles Laughton, Clark Gable, Claude Caron, Cleopatra, Daddy Long Legs, Doctor's Dilemma, Elia Kazan, Elizabeth Taylor, Fanny, Funny Bones, Gary Cooper, Gene Kelly, George Bernard Shaw, George Cukor, George Shdanoff, Gigi, Give a Girl a Break, Glory Alley, Gower Champoion, Gregory Peck, Jean-Paul Sartre, Jeanne Moreau, Joshua Logan, Krzysztof Zanussi, Les Girls, Leslie Caron, Lili, Louis Malle, Margaret Petit, Marlon Brando, Meryl Streep, Metro-Goldwyn-Mayer, MGM, Nanni Loy, Night of the Hunter, On the Waterfront, Paul Newman, Peter Chelsom, Raoul Walsh, Robert De Niro, Simone de Beauvoir, Stanislavski, The L-Shaped Room, Vincente Minnelli, West Side Story. Bookmark the permalink.